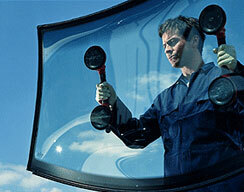 Auto Glass Unlimited is your source for high quality automotive glass repair and replacement. We carry a large inventory of glass from front and rear windshields, door glass, and mirrors. We service all types of vehicles including domestics and foreign. We also offer competitive pricing that will guarantee our customers the best prices! We offer our customers quality, guaranteed, workmanship at the lowest prices. We refuse to be undersold! To date, we remain one of the largest independent retail glass shops in the area. We look forward to servicing all of your auto glass needs, including: OEM glass, certified technicians, mobile service, and lifetime warranty on labor, and yes low prices. We encourage you to let our quality reputation and guaranteed workmanship be the reason you call us for all of your auto glass needs. When you need auto glass replacement service, call Auto Glass Unlimited 877-GLASS-82!